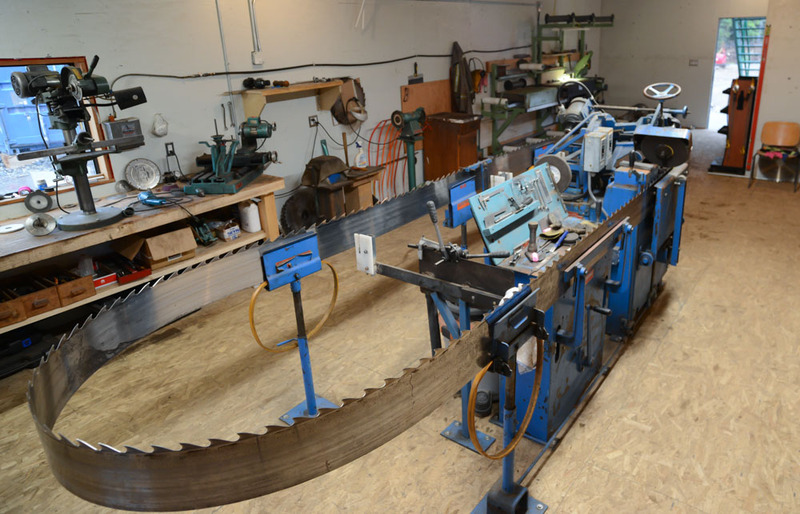 Touchwood Sawmills was built as a specialty sawmill, strongly influenced by the European and Japanese demands for accuracy, surface quality and thin kerf sawing. We use custom built vacuum handling of the sawn product which reduces the mechanical damage due to handling to an absolute minimum. The machinery is all Swiss or European. Our mill offers specialty products cut to order as well as a full custom cut service. Our mill is in Terrace, Northern British Columbia, ideally located between the ports of Prince Rupert and Kitimat. With our own 10 acre dry land sort and log storage we have ample space to individually build, separate and deck out the logs for our clients. The production per shift varies strongly per product size and specification. The year average is approx. 35-40m3 log intake per shift. The guiding principle throughout our operation is care for the product and quality before quantity. Allows safe and damage free handling of the boards and flitches coming of the headrig. The vacuum lifting, handling and positioning system is free programmable and allows pre-grading in between the headrig and edger, allowing for optimum quality and size control and simplifying grading spread at the mill’s exit. 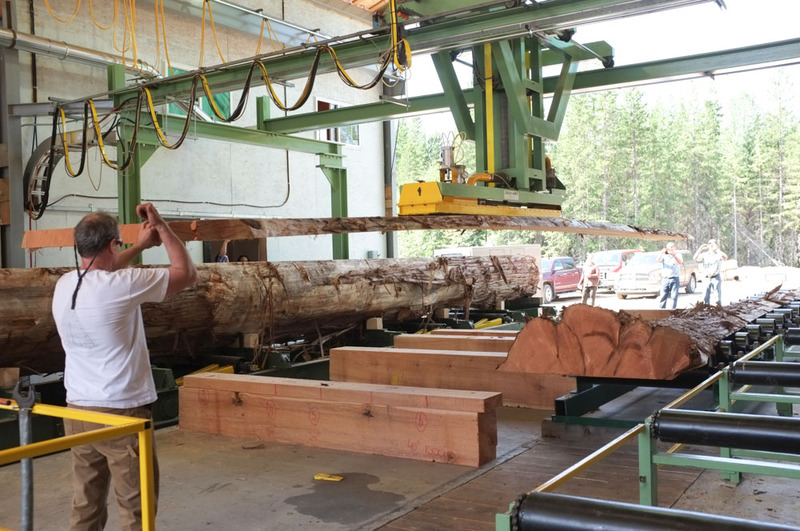 On our small log mill we process logs ranging from 6 to 20” diameter up to a length of 32ft. Built by Kara in Finland this mill excels in flexibility, accuracy and surface quality. 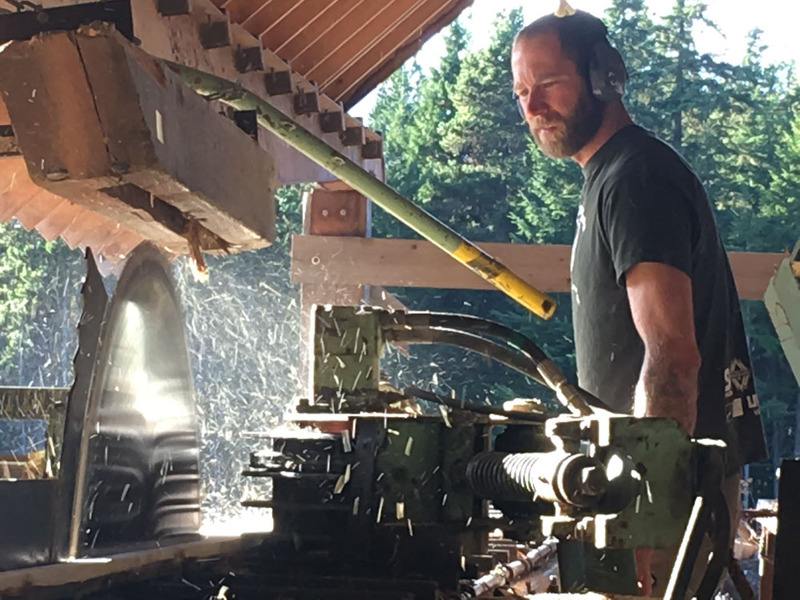 Feeding second growth and small juvenile logs with tight intergrown knots this mill produces a beautiful tight knot product for siding and fencing in Yellow and Red Cedar. In spruce and Hemlock this mill produces appearance grade timbers and beams for construction applications, such as 6x6, 8x8, 10x10 and 12x12”. The central building is equipped with a full length and width 5 ton Demag overhead gantry crane. Allowing handling of extremely long logs, flitches and beams. Infinite flexibility in handling and rotation of product while mechanical damage is minimized through use of soft slings. Main: Cummins 855 – 14L 6cil line genset with 350KVA AVK Alternator.